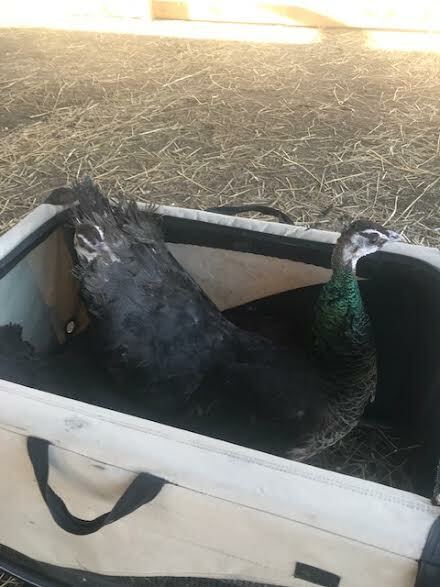 On March 23, 2019, two female peacocks were added to the Purple Cat family. The females were added to compliment two males that were rescued in 2018. 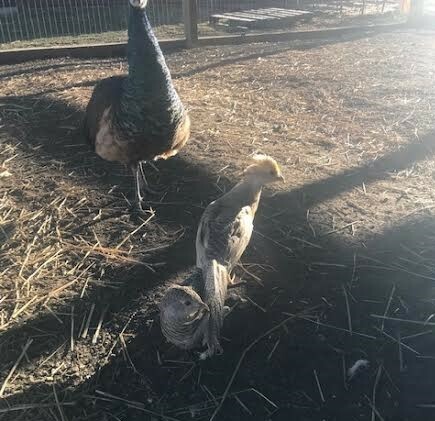 There are now four pairs of peacocks at Farmer Casey’s Ranch. We are hoping for more eggs and peachicks soon! Also added were a pair of Golden Pheasants. Named Tom Thumb and Pippy, the pheasants have their own pen behind the bank barn. Jimmy Sutman and friends, J.J. and John Kennedy, brought the birds back from Mansfield, Ohio.